On the Eve of Hallow’s End, a Masquerade auction and costume contest was held in the Brill Cemetary. After a session of spooky storytelling, a costumed auction was held. People were “sold” to spend a day with the highest bidder. 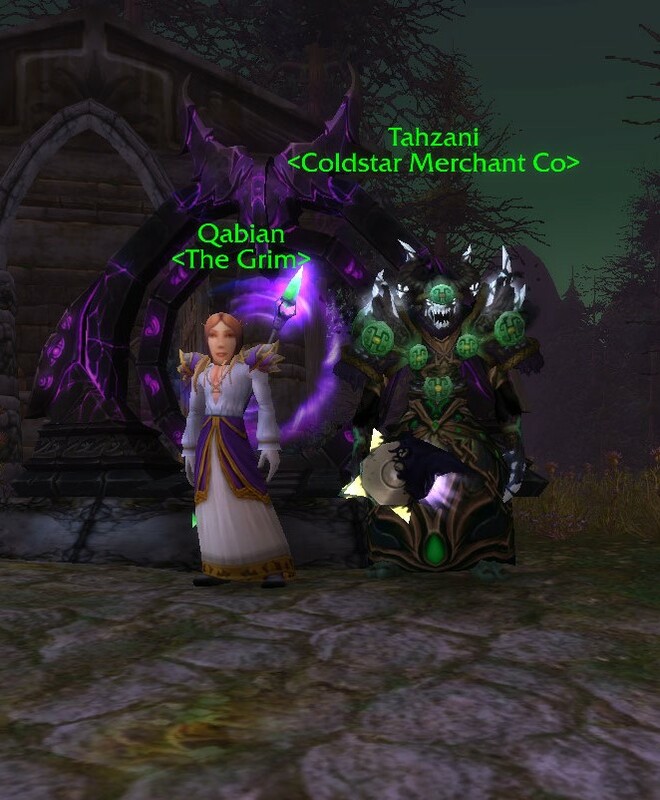 Jaina (Qabian) was sold to Scree (Tahz) for 1000 gold. 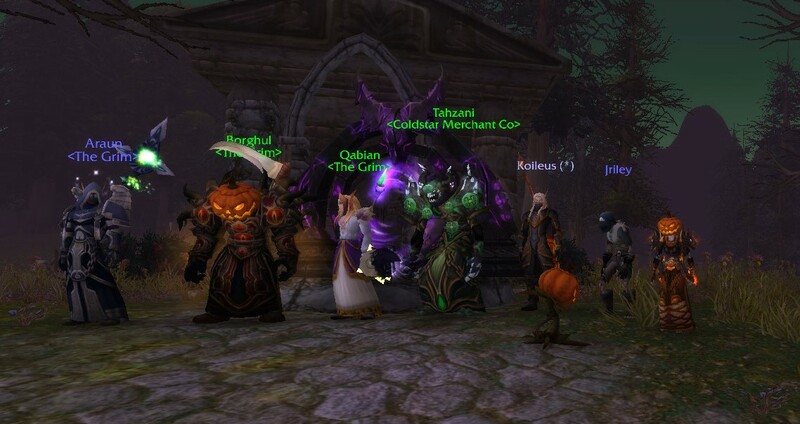 Mr. Pumpkinhead (Borghul) was sold to Jaina (Qabian) for 2000 gold. The Dark Knight (Mystery Elf) was sold to Lady Pumpkin (Syreena) for 600 gold. The Terrible Thief (James Riley) was sold to the Dark Knight (Mystery Elf) for 300 gold. Scree (Tahz) was sold to Mr. Pumpkinhead (Borghul) for 400 gold. The Stars (Araun) was sold to Jaina (Qabian) for 500 gold. The gold from the sales was put toward the prize for the costume contest. The winner for the costume contest was a tie between Qabian “Jaina” Grimfire (also now known as “Coconuts”) and Tahzani “The Sha” Tallfisher (also now known as “Scree”).